Beatrice allowed herself a small celebration. Exotic fruit, miso soup or a salmon bagel may well do wonders for the mind but on certain occasions nothing in the world can beat a bacon sandwich. Yes. YES! No question about it. A bacon sandwich ­– yum, yum, pig’s bum. But wait – what’s this? Large streaky rashers curling and spitting away in the pan. Two thick white slices warming in the toaster, a bottle of HP and the papers waiting on the table. Thick white slices? No. No, woman, no. What are you thinking of? Two slices of Poilâne rye – the only thing. (If you really must, you can substitute Poilâne sourdough, in which case yes you will need to toast it, but ordinary white bread? Never!) (You don’t need to go to Paris for the bread; if you’re in Britain, Frenchclick.co.uk will deliver it right to your door). No butter. Spread one slice with mustard if that’s all you have (English – none of your foreign muck) but Bim’s Kitchen African Baobab Pepper Jam is better and then slather both slices with home made mayo. Sprinkle a small amount of celery salt on one side, lay the fried bacon (if you grill bacon you can bugger off right now) on one side, lay on top of it slices of ripe tomato you have already scattered with salt and black pepper, press the other slice on top, cut in half and eat. That is a bacon sandwich. A bacon sandwich fit for the incomparable Beatrice Stubbs. I pah on your white bread. Before sending a book to be typeset, if you know what’s good for you, you give it to a proof-reader to find all the things wrong with it – the repetitions, incongruities, inconsistencies and plain incorrect style. Before it goes to the proof-reader though, sensible writers use either a developmental editor or (and this amounts to the same thing) reliable beta readers. I had two developmental editors on Zappa’s Mam’s a Slapper and the book as finally published was a lot better than it might have been without them. Always, though, there are going to be some changes that you make at a developmental editor’s behest that you regret. One of my editors told me to remove almost everything that might seem to be a reflection of my own views. In some cases I have no regrets but I miss one or two things that are not in the final book. I’ve decided, therefore, to publish these outtakes as “offcuts”. This is the first. My editor persuaded me that the book was better off without it. I’d be interested to know whether you think she was right. Melanie bought a digital camera of her own. She already had a computer and now she loaded Photoshop onto it. She must have spent a few hundred quid, all told, although she got the educational rate for the software which is a lot cheaper than ordinary punters have to pay. I was shocked when I found out what sort of pictures she wanted me to take. We both agreed, though, that miniskirts were a Good Thing. I said it sounded as though people were happier now, but Zak said I was confusing freedom with happiness, a mistake they’d been prone to make at the time. The people I’d grown up with, would I say most of them were happy? And of course when I thought about Chantal and my mother I had to say no. Zak said back then they hadn’t really known what they were doing. He said it was like Pandora’s Box, except that people were so ignorant now, so uneducated, that if you mentioned Pandora’s Box they’d think you were talking about the genitalia of some tart with a posh name. He talked like that a lot, long words like genitalia mixed in with what he called the demotic. And he said opening the box was one thing but shoving everything back in, that was something else again. 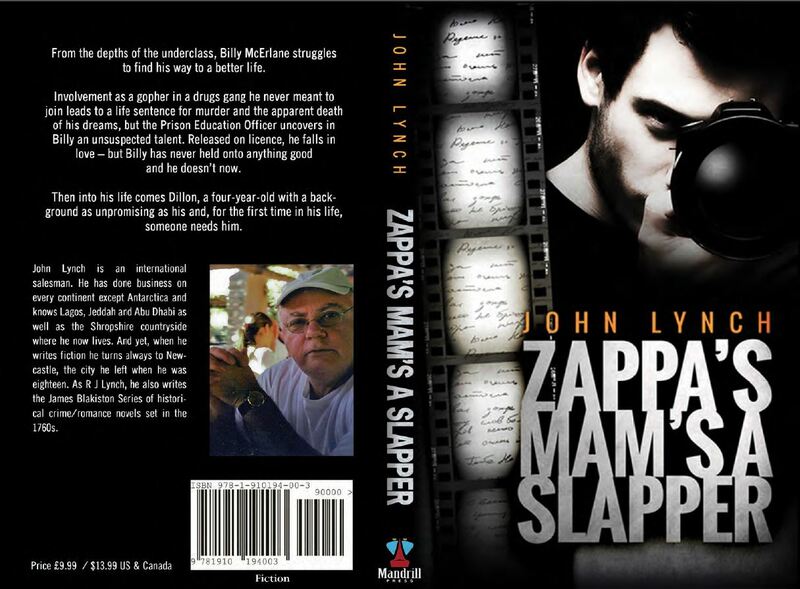 You can read more about Zappa’s Mam’s a Slapper here. 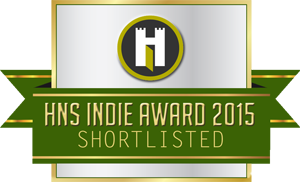 The Historical Novel Society announced the shortlist for its 2015 Indie Award on Friday, and included in the list is A Just and Upright Man . The winner will be announced and the award presented at the society’s annual conference in Denver, Colorado, in June. I was stunned when I got the news. Of course you always hope to be recognised, and the book has had some very good reviews, but still it’s a surprise. 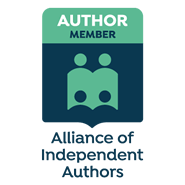 To know that they started out with so many historical novels and, after they’d whittled them down to just nine, mine was still in there – it feels like a validation of all my hard work. 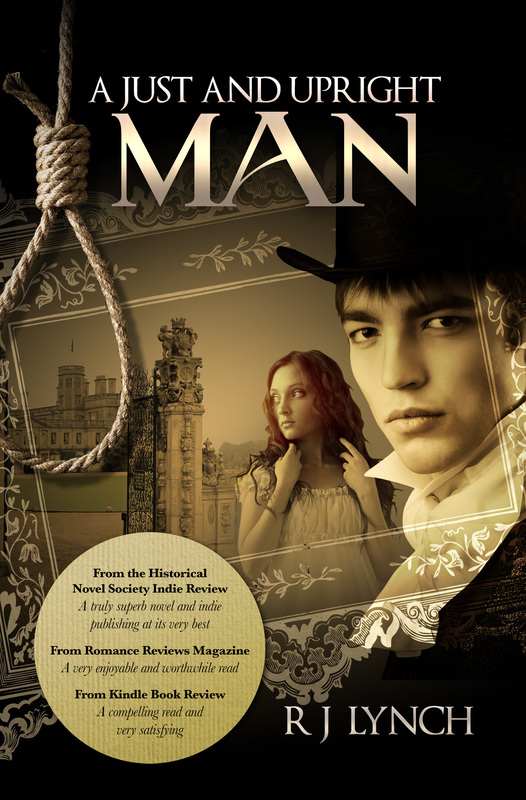 A Just and Upright Man is the first in the five-book James Blakiston series of historical romance/crime novels set in northeast England in the 1760s (with one set in the American colonies as revolution looms). So much historical fiction is written from the viewpoint of the rich and aristocratic, or at least the well-off. I wanted to write about the lives of the people at the bottom of the heap – the agricultural labourers, shepherds, cotton spinners and miners from whom I (and, in fact, almost everyone) am descended. You think at first that these people are invisible but when you sit for hours, day after day, (as I have) poring over the notebooks and other records kept by vicars and overseers of the poor – and, indeed, the courts – individuals start to emerge from the darkness and speak to you. I wanted to tell how their lives unfolded when enclosure took away their livelihood of the past two or three hundred years and to show that they, no less than the gentry, fell in love, married and had children; that they knew happiness and grief; that they mattered. The reviews I’ve been getting suggest that I’ve succeeded, which is rewarding in itself. Poor Law, the second book in the series, should be with the proof-reader before the end of this month. Or you can get it here as a paperback (the price includes postage, wherever in the world you may be).